No Matter where you're going, there are new ways to get there and all of them lead Forth. Oregon Clean Vehicle Rebate Update. The Oregon Supreme Court has upheld the funding source for the Oregon Clean Vehicle Rebate. Roadmap is the leading electric and smart mobility conference in the U.S. This year's program is now live and the speakers have been announced. Keep track of our work with industry, government, communities, utilities and organizations working for electric mobility. 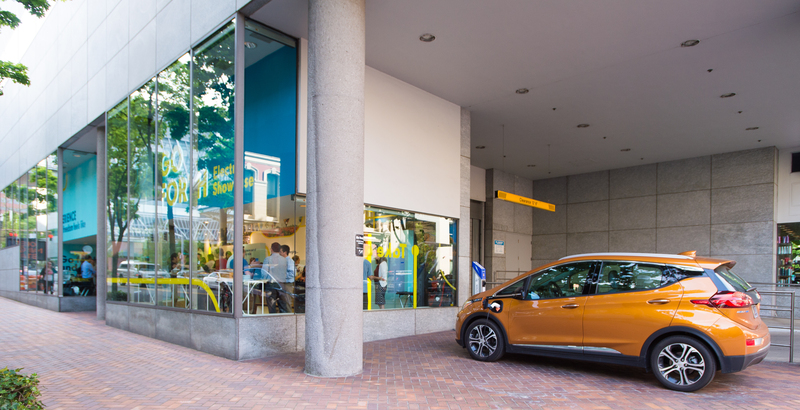 Test drive the future now in downtown Portland. We're advancing better ways of getting around. Stay up-to-date on Forth's latest and greatest news.